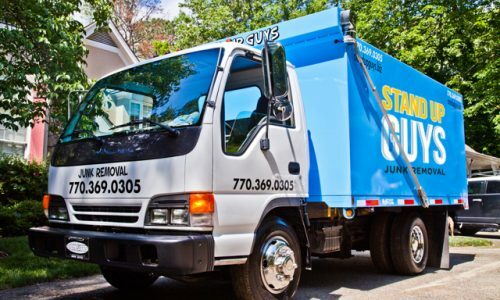 Durham’s Favorite Junk Removal Crew – The Stand Up Guys! 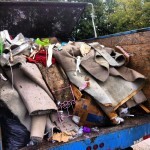 The Stand Up Guys Junk Removal Crew cover all of Durham and all the surrounding cities. 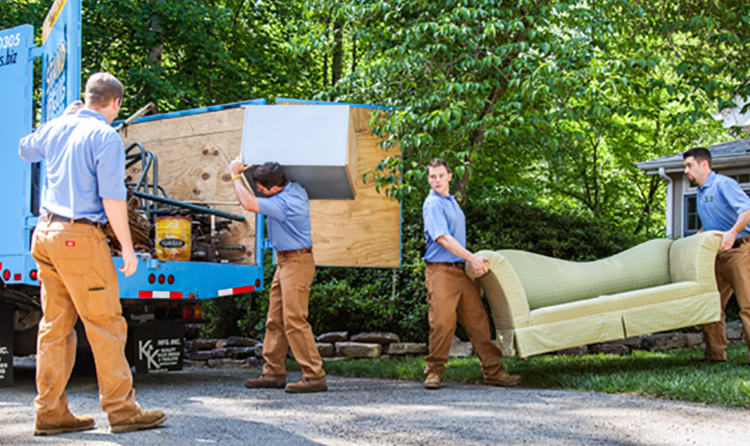 We offer full junk removal service to residents and businesses of Durham, while providing outstanding customer service and reliability that you can’t find in other junk removal services. The Stand Up Guys are second to none in Durham. It doesn’t matter what you are looking to have removed or cleaned out, The Stand Up Guys can help you with everything you need. Any job, big or small in Durham, and we’ve got your back. Need to remove an old TV? Maybe a junk couch? Or heck, do you have a garage full of junk that’s been piling up for 10 years? No matter what you need, The Stand Up Guys will assist with the entire process. 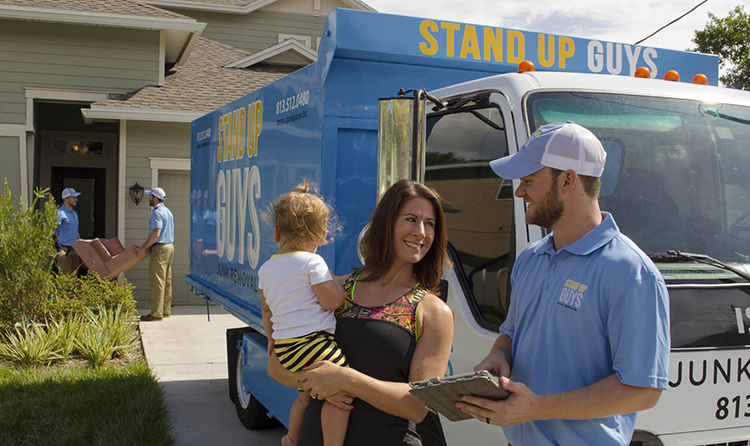 The Stand Up Guys Junk Removal Crew has earned a stellar rapport with the people and businesses of Durham over the years because of our constant efforts towards great customer service, value and overall customer care. We ensure that every single customer gets a serious ‘WOW’ experience when they use our services. 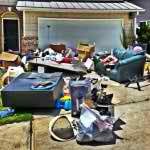 This is something you don’t find anywhere else in the junk removal industry. 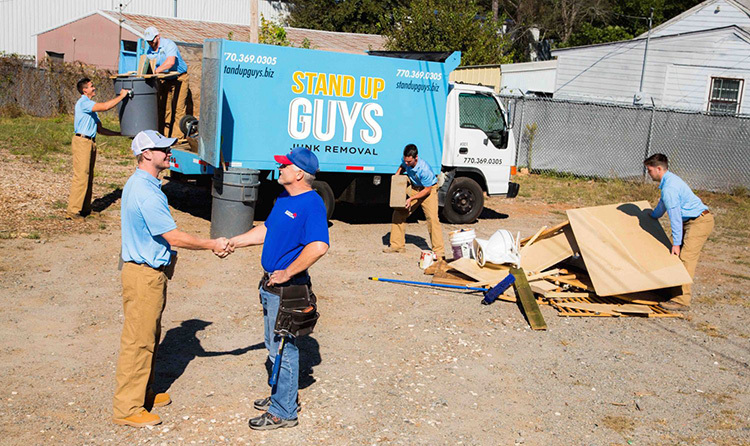 Another reason why The Stand Up Guys are considered Durham’s Favorite Junk Removal Crew is because of what we give back to the community that has been so great to us. We donate and/or recycle more than 60% of the items that we remove from Durham. This means your old things can find a new home, instead of being wasted and trashed into the landfill. This helps people on all levels. Durham is an amazing city, with more things to do then one could even imagine. Durham is also one of the largest cities in North Carolina and one of the largest in the Southeast United States with a population of over 250,000 residents in the city limits alone. Durham also is the core city of the ‘Research Triangle’ and the glue that holds the Raleigh-Durham-Chapel Hill area together. Durham is also home to one of the most prestigious colleges in the world, Duke University. People from all over the world try and get into this wonderful school. One of the best parts about being accepted, is that you get to live, work and play in one of America’s finest cities, Durham, NC. Durham has 100’s of years of history, but not until the early 1900’s did it see serious population growth. The city of Durham saw massive population growths from 1900-1920 due to the fact that they had two of the largest tobacco manufactures in the country call Durham home. Bull Durham and Washington Dukes Tobacco created countless jobs for the people of Durham. The people flocked to the area, most never left and that’s why Durham is still an awesome city to date.